Pannekoek, Frits. "Fort Macleod". The Canadian Encyclopedia, 11 May 2016, Historica Canada. https://www.thecanadianencyclopedia.ca/en/article/fort-macleod. Accessed 24 April 2019. Fort Macleod, Alta, incorporated as a town in 1892, population 3117 (2011c), 3072 (2006c). The Town of Fort Macleod is located on the OLDMAN RIVER, 165 km south of Calgary. Fort Macleod, Alta, incorporated as a town in 1892, population 3117 (2011c), 3072 (2006c). 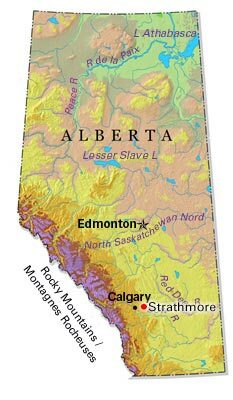 The Town of Fort Macleod is located on the OLDMAN RIVER, 165 km south of Calgary. 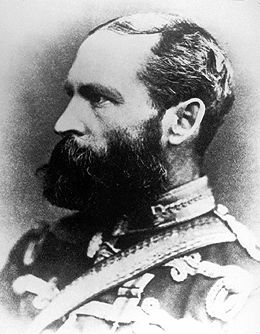 In October 1874, 150 North-West Mounted Police (NWMP) established the first police post in present-day Alberta on an island in the Oldman River, and named it after Assistant Commissioner James F. MACLEOD. Annual flooding forced the post's move to the present site 10 years later. It was the headquarters of the force 1876-78, (headquarters moved to FORT WALSH), a divisional centre to 1919 and thereafter a subdivisional headquarters. 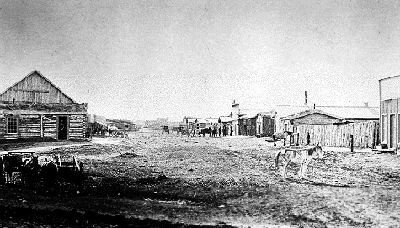 Fort Macleod was the first cattle town in the Canadian West. Early ranching was centered around the headquarters of the North West Mounted Police (courtesy Glenbow Archives). 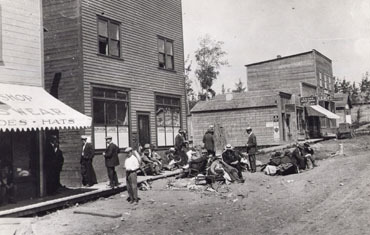 The centre from which the whisky trade was wiped out in the southern plains, Fort Macleod was a judicial seat and the scene of several famous trials, including that of CHARCOAL, arrested for the murder of an NWMP sergeant. Even as it declined as a police centre, Fort Macleod continued to function as a regional distribution point for a ranching and farming hinterland. Today tourism is a major industry. The Fort Museum (a reconstruction of the original fort), the heritage buildings located on the main street (the province's first Mainstreet and a heritage area) and neighbouring HEAD-SMASHED-IN BUFFALO JUMP (a UNESCO World Heritage Site) attract several hundred thousand visitors annually. See also RED COAT TRAIL. Fort MacleodOfficial website for the Town of Fort Macleod, Alberta.